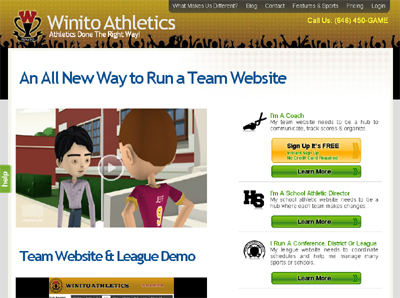 Winito Athletics powers athletic programs through a central website that will become a hub of athletic activities. In addition to storing and tracking all of your team records, stats and schedules for every season, it can be used to send game updates, emails and group texts. Winito Athletics builds a community around your athletics program. Traditional approaches are more for building a website with limited community engagement.